A joyous occasion that will require many invitations going out, this is where the woodies stamp featuring 'we're engaged' wording will give each one a charming touch. Made from beech wood and 100% natural rubber, the dainty 30mm stamp allows you to easily and quickly put a cute stamp on the invitation or gift cards. Ideal for creative crafters, the woodies stamp will bring a smile to each recipient. 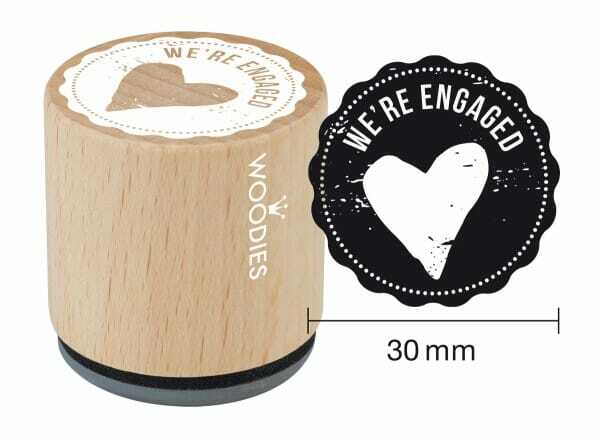 Customer evaluation for "Woodies stamp We're engaged"